Revlon Renewist Lip Color Giveaway! I’m in need of a lipstick right now. More accurately, I am looking for something that can double up as a lipstick, lipgloss and yet provide me the moisture I need for my somewhat dry lips. After reading the review for the Revlon Renewist Lip Color, I think this is one lipstick I ought to check out, not so much for the lipstick in itself, but more so for the ProCollagen Moisture Core, which is touted to boost moisture by up to 80%. Sounds interesting enough. 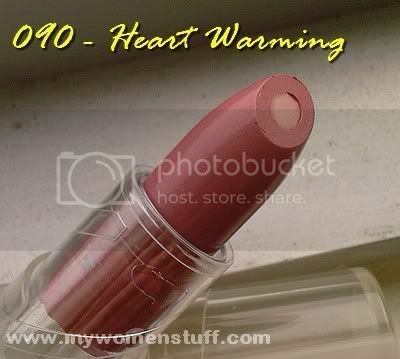 However, I’m not gonna run out and buy myself one of these lipsticks just yet. Well, not until the results of this giveaway is announced anyway. My Women Stuff is having a giveaway for 1 Revlon Renewist Lip Colour lipstick (color: Naturally Revealing) and 1 Colorstay lip pencil. To see the exact shade of the Naturally Revealing color, please visit the Revlon site. Quick, go check out the details and submit your entry by 12 noon on Thursday 22 May 2008. 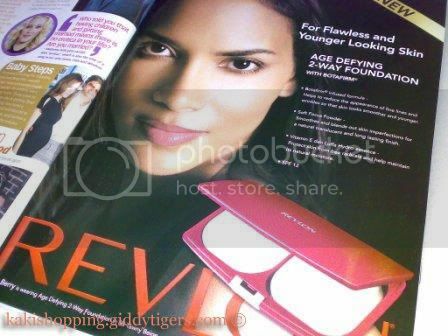 Â As I was flipping through my May 2008 copy of Malaysian Women’s Weekly, I saw the full page ad for the latest Revlon foundation: theÂ Revlon Age-Defying 2-way Foundation with Botafirm. Â This reminded me of theÂ first ever giveaway that is currently happening at My Women Stuff. I’m always game to try new products, and am ever ready to get free samples from cosmetics and perfume counters. Â But what’s even better than getting free samples? Â Why, free PRODUCTS in regular sizes, of course! So I’m hoping to land myself the Revlon foundation prize. Â The contest is so simple. Â It’s a lucky draw where there will be only ONE winner who will walk away withÂ a Revlon Age-Defying 2-way foundation in the shade 06 – Natural Beige! Â All you need is to send an email toÂ mwsgiveaways@gmail.com with â€œRevlon Foundationâ€ in the subject header. Â But hurry though…the contest ends 12 noon on 10 May 2008. I’ve actually already submitted my entry – have you?